This book explores the inter-relationship between religious groups and wider society and examines the way religious groups change in relation to societal norms, potentially to the point of undergoing processes of ‘internal secularisation’ within secular and secularist cultures. Received sociological wisdom suggests that over time religious groups moderate their claims. This comes with the potential loss of new adherents, for theorists of secularisation suggest unique or universal, rather than moderate, truth claims appear attractive to would-be recruits. At the same time, religious groups need to appear equivalent, in terms of harmlessness, to state-sanctioned religious expression in order to secure rights. Thus, religious organisations face a perpetual conundrum. Using British Quakers as a case study as they moved from a counter-cultural group to an accepted and accepting part of twentieth- and twenty-first-century society, the author builds on models of religion and non-religion in terms of flows and explores the consequences of religious assimilation when the process of constructing both distinctive appeal and ‘harmlessness’ in pursuit of rights is played out in a secular culture. 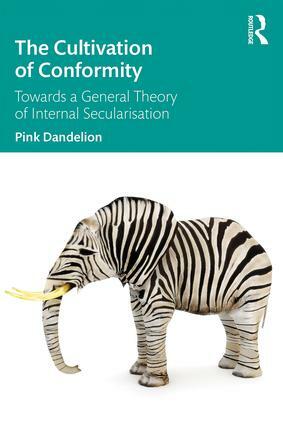 A major contribution to the sociology of religion, The Cultivation of Conformity presents a new theory of internal secularisation as the ultimate stage of the cultivation of conformity, and a model of the way sects and society inter-relate. ‘Ben’ Pink Dandelion directs the work of the Centre for Research in Quaker Studies, and is Professor of Quaker Studies at the University of Birmingham and Research Fellow at Lancaster University, UK. He has published widely in Quakerism and the sociology of religion. He is the author of A Sociological Analysis of the Theology of Quakers; The Liturgies of Quakerism; An Introduction to Quakerism; The Quakers: A Very Short Introduction; and Making Our Connections: The Spirituality of Travel, and co-author of Heaven on Earth: Quakers and the Second Coming; and Towards Tragedy/Reclaiming Hope. He is the editor of The Creation of Quaker Theory: Insider Perspectives, and the co-editor of The Historical Dictionary of Friends (Quakers); The A–Z of Friends (Quakers); Good and Evil: Quaker Perspectives; The Quaker Condition: The Sociology of a Liberal Religion; Religion and Youth; The Oxford Handbook of Quaker Studies; and Early Quakers and their Theological Thought 1647–1723.